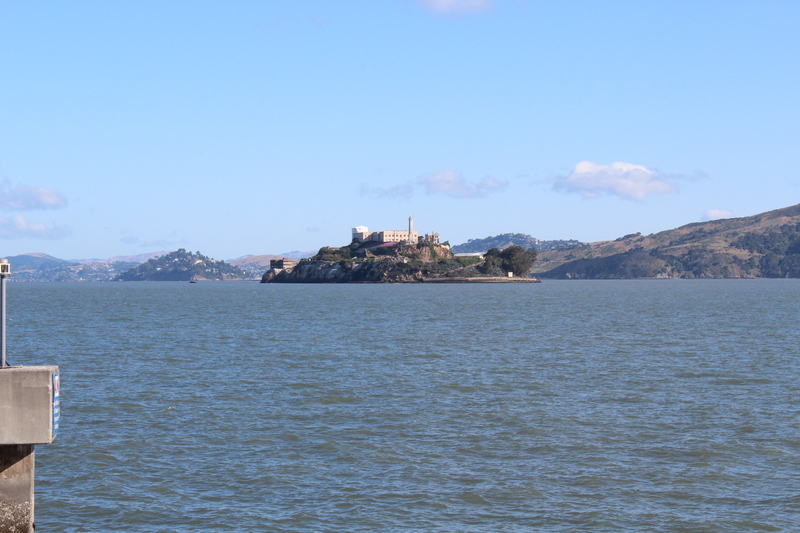 Alcatraz Island was perhaps the highlight of our week in San Francisco. I’m quite certain that prior to 1963, the year the penitentiary was closed, Alcatraz was not a popular destination, but today, it is one of the biggest attractions in the San Francisco area. 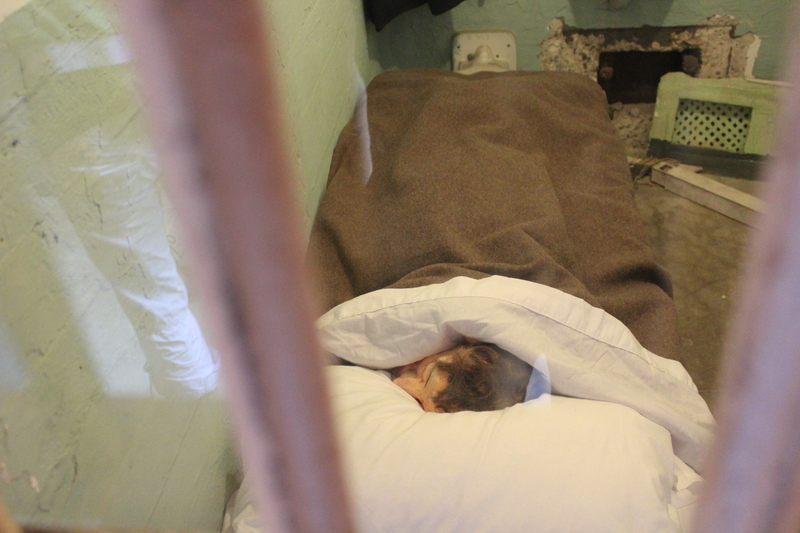 Over the years, much has been said about the lives of the inmates in Alcatraz. The movies that have been made and the stories of the various escape attempts have all added to the legend and mystique that is Alcatraz. 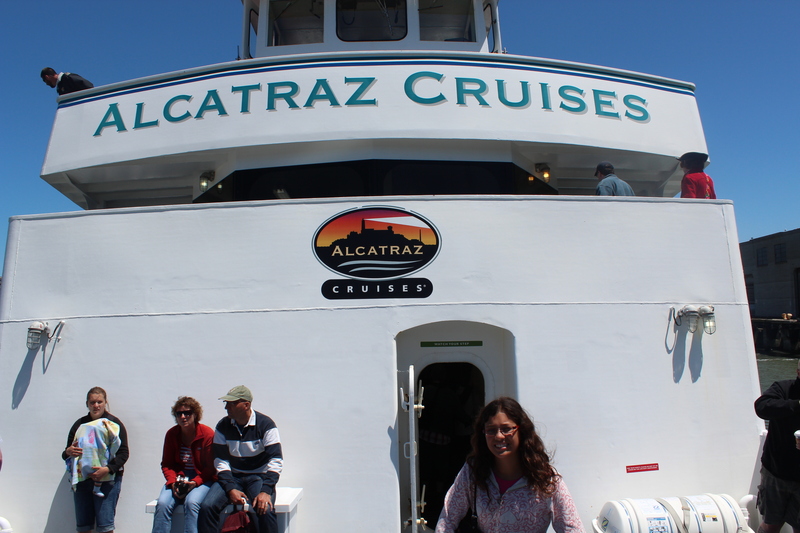 One of the great things about the trip to Alcatraz, was that even though there is only one operator, there are multiple sailings each day, so once we got there, we were free to spend as much time as we wanted, then catch any one of the various sailings back to the mainland. We opted for the earliest ferry in order for us to make the most of the day. The weather was beautiful so we had a nice, slow cruise across the bay to the island. It was a thrill to finally set foot on ‘The Rock’. It served as a federal maximum security prison from 1934 until it’s closure in 1963 due the age of the buildings and also a change in philosophy in the way prisoners were handled, i.e from punishment to rehabilitation. Alcatraz housed some of the most notorious criminals of the day, including a certain Al Capone but perhaps the most famous prisoners were the one’s who escaped in 1962: Frank Morris and the Anglin brothers. The story of the escape is captured well in this Clint Eastwood movie, but it was thrilling to see the actual cells in which they lived and the holes that the men dug to get out. Very cool! The walk around the cell house was greatly enhanced by the audio tour. With our own listening device and headphones, we were guided through a fascinating tour of the cell house, narrated by actual former inmates and wardens. 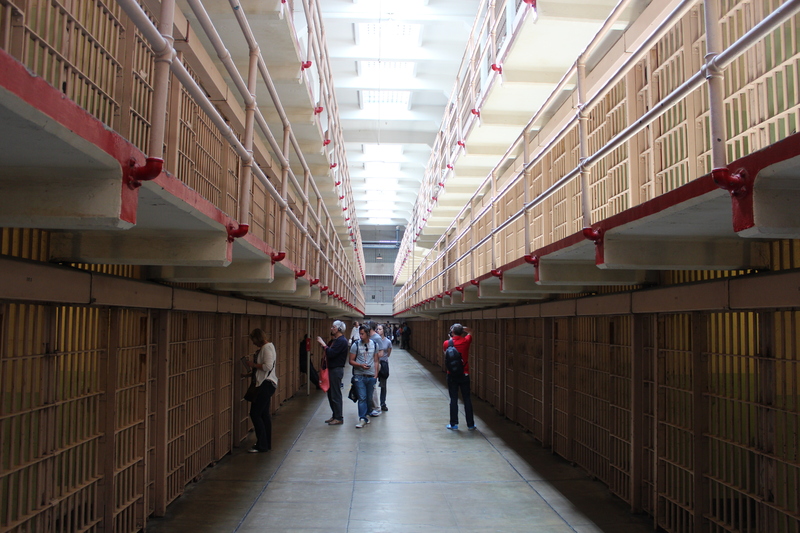 The Alcatraz experience was really brought to life. We highly recommend this. However, one of the things that struck me, was the size of the cells – a very small 5 x 9 feet! When he got back to the mainland, we spent the rest of the afternoon walking around Pier 39 and Fisherman’s Wharf. 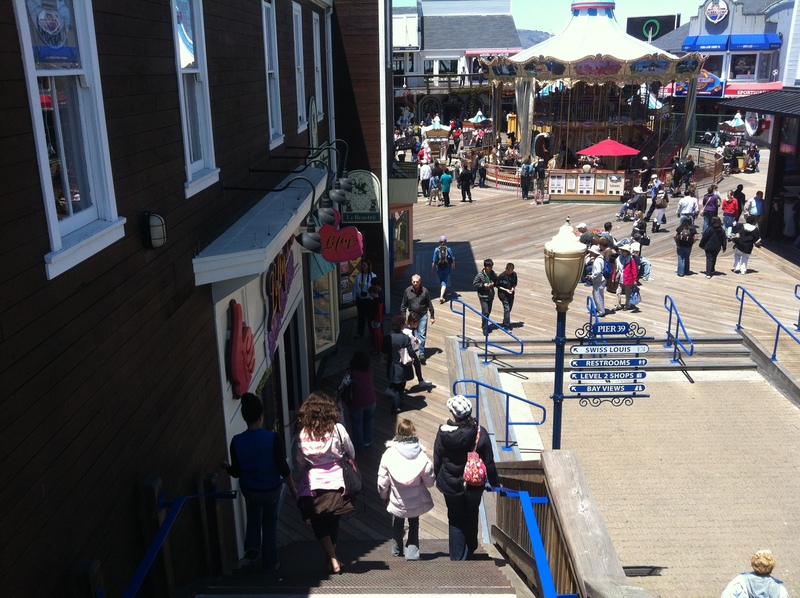 Pier 39 is a bustling area of shops and activity. It really does take a whole afternoon to make your way around and it is fascinating to visit. On our final day, we were hoping to visit some of the gardens around the city, such as the Golden Gate Gardens, the Botanical Gardens, the Japanese Tea Garden and Muir Woods, but they all cost $7 for each person to enter. 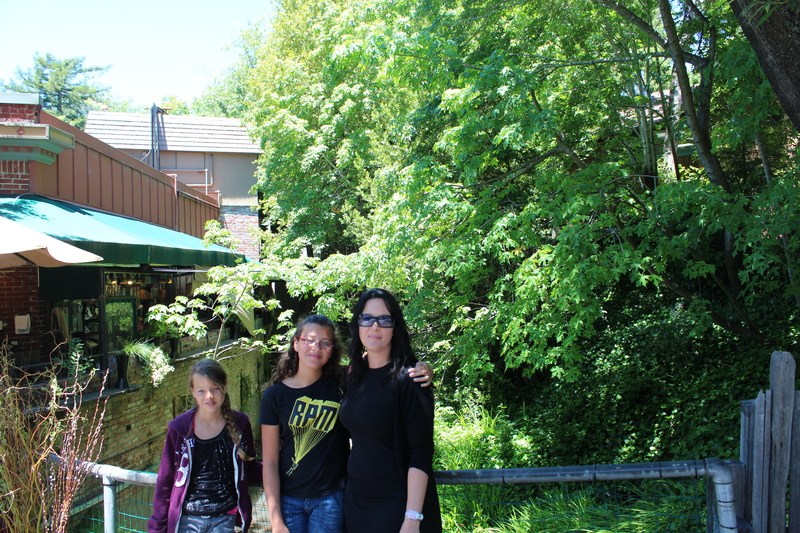 Instead of paying $30 for the privilege of looking at trees and flowers at each garden, we decided to head back across the Golden Gate Bridge and drive to Mill Valley, which is a thriving artistic community about 14 miles north of the city. 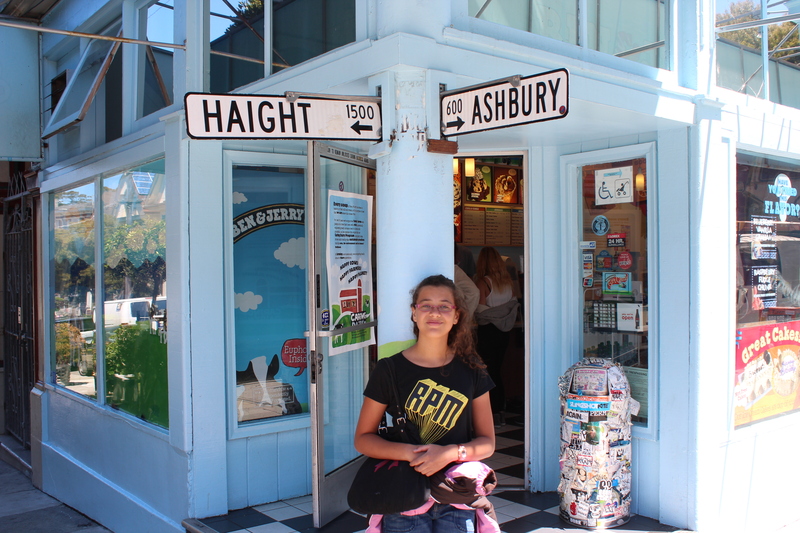 On the way there, we visited the very eclectic and psychedelic Haight-Ashbury district which was known for it’s hippie culture and rock’n’roll lifetsyle in the late 1960’s. In fact, well-known artists such as Janis Joplin, Jefferson Airplane and the Grateful Dead all resided, and I guess partied hard, in this area. Relaxing in Mill Valley for the afternoon was a fantastic way to finish our short stay in San Francisco. The next day, we spent 8 hours traveling back L.A. via the very scenic 101 freeway.